Summary: Erestor, thinking himself doing Glorfindel a favour and hoping for a favourable eye to be cast on him by the powerful elf-lord, has all of Imladris' erroneous accounts of the fall of Gondolin and the fall of Glorfindel, Captain of the House of the Golden Flower, corrected. Unfortunately, Glorfindel is dismayed and not at all pleased. Summary: Erestor, a scholar always pressed for time, gets a new neighbour who likes to sing at the wrong times. Summary: Erestor sees Thranduil. Thranduil sees Erestor. 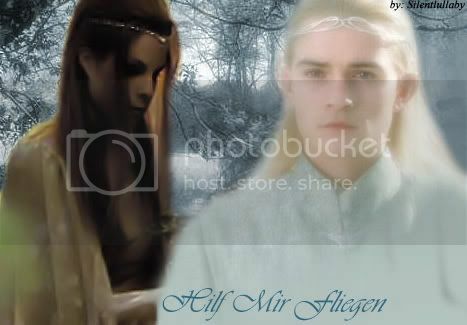 Summary: Young love as been found between one called Greenleaf and the other called Evenstar. A/N: I put none on the warnings because the warnings are not going to happen. Yet. Summary: Celebrian writes her thoughts for a day in her diary. Summary: From the author of the Arwen Trilogy. A short Yuletide story dedicated to the spirit of the season. On the eve of what is set to be the best Yule of Arwen's life, an event occurs that threatens to keep her loved ones apart for the holidays. Summary: Erestor is contacted by an overzealous marketer of the Valarin Healing By Matchmaking Agency. Summary: Erestor is going away to Woodhall for a few weeks and leaving Lindir behind. Lindir isn't too pleased. Summary: Legolas is brought to Imladris after being desperately wounded. It is up to Elrond to heal his body and spirit. Dedicated to Sildil!